These two little islands were separated from the supercontinent Gondwana approximately 80 million years ago. There were no land mammals or snakes present in New Zealand at this time, and the result of this was a unique and flourishing bird population. Despite many species becoming extinct since then, the land of the kiwis still has an impressive array of birds you won’t find in any other part of the world. These birds are common in New Zealand and can be spotted throughout the two islands. 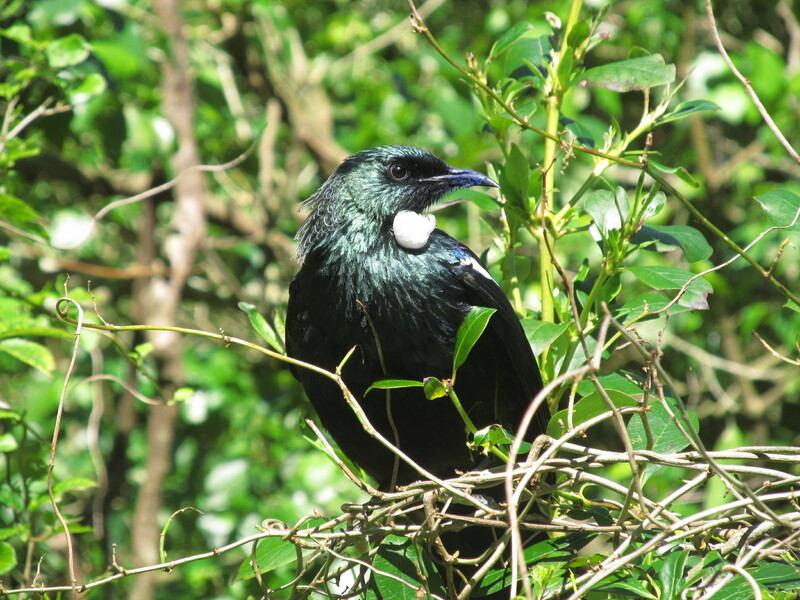 Usually found in forests, the tui feeds on seasonal fruits, plants and insects. The distinctive white feathers on the bird’s chest are found in both males and females. Tuis have over 300 different songs and noises in their repertoire – something only a handful of bird species worldwide can boast. 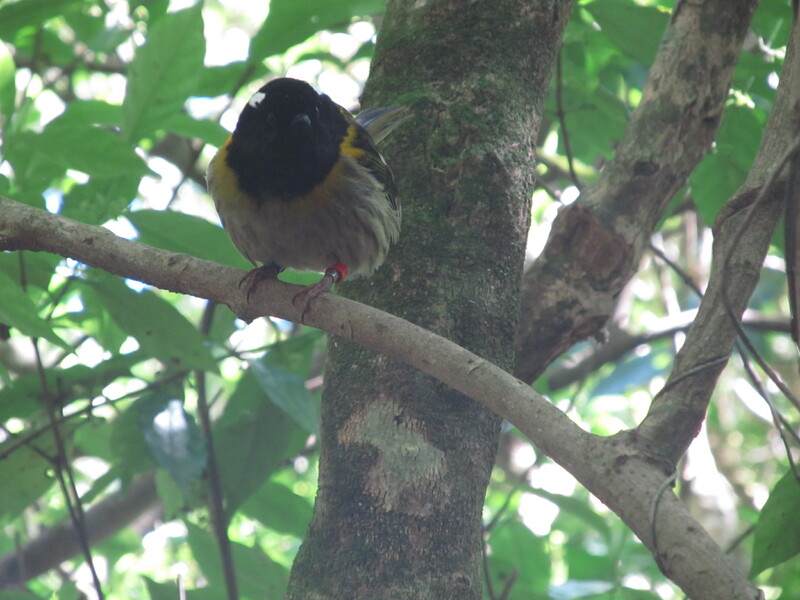 Also known at the stitchbird, the endangered hihi is found only in the North Island. Predators such as rats and stoats have caused a worrying decline in the number of these endemic birds. At one point the species was condemned to Little Barrier Island in the Hauraki Gulf, but now the Department of Conservation has transferred hihis to other offshore islands. The takahe was thought to be extinct until 1948, when it was rediscovered by Dr Geoffrey Orbell in the South Island Fiordlands. Dr Orbell had been convinced some individuals still existed in the wild and dedicated much of his spare time to searching for them. 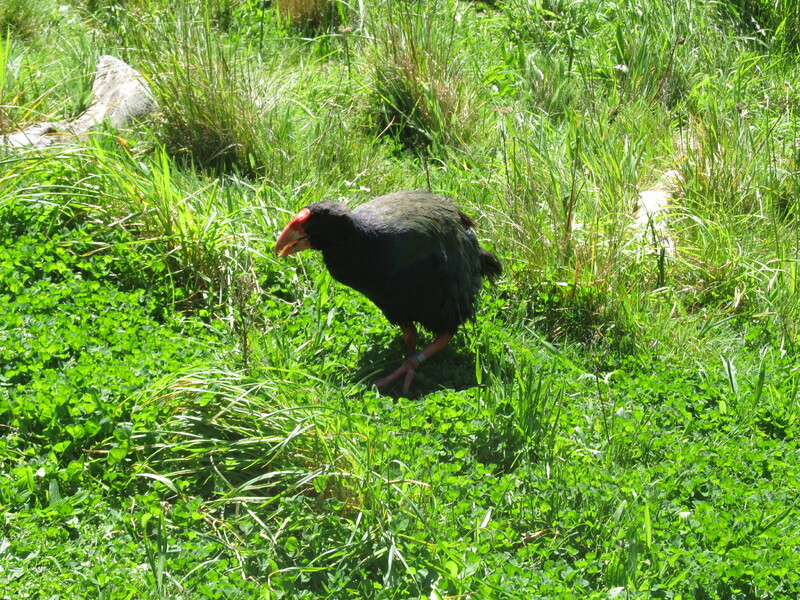 The South Island takahe is flightless and highly endangered. There is currently thought to be a population of around 120 birds in the wild, with attacks from stoats being the biggest threat. Measures are in place to protect takahe numbers and encourage breeding. This male robin gave all the mealworms he could find to his mate. Such a gentleman! 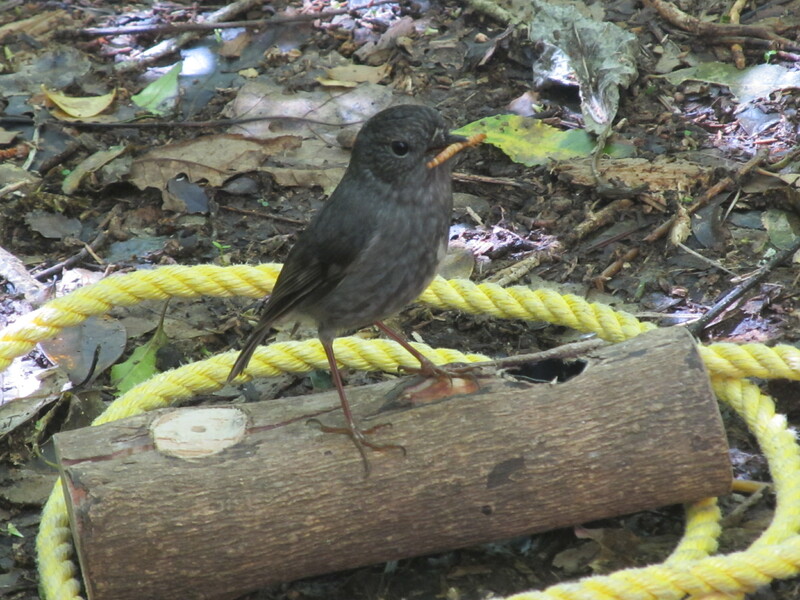 Robins are found in native and exotic forests throughout the North Island. They feed off the forest floor so are particularly vulnerable to stoats and feral cats. North Island robins are not usually found north of Auckland, and mainly feed on insects, larvae and spiders. Breeding season runs from August to February and mates can raise up to three sets of offspring in this time. Oh, let’s not forget that they’re super cute. One of New Zealand’s largest parrots. This parrot is found on both the North and South Islands. Kakas are at risk from stoat predation as the chicks remain on or near the ground for several days after fledging. They feed primarily on shoots and fruits of plants, as well as nectar and grubs. 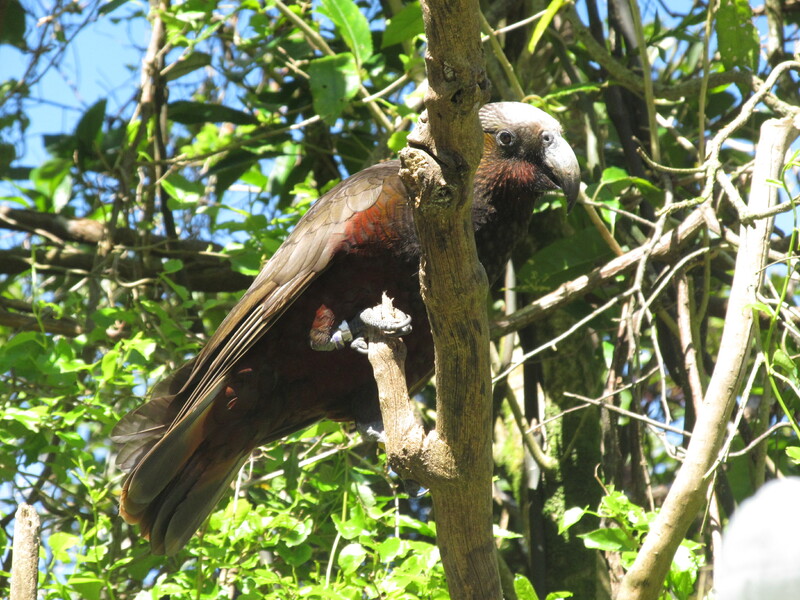 The male kaka assists in feeding the female while she is incubating her eggs in breeding season.